In the Grid Input you determine the structure of a position. Here you can enter the number of fields in width and height. The number of fields is limited to 99. After you have determined the number of fields in width and height the program asks for the total width as well as the partial widths and then the total height as well as the partial heights. 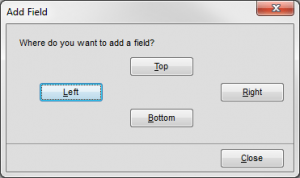 In order to split the fields equally leave their status on “automatic”. Fields that are calculated automatically are labelled by “A”. The advantage of an automatic allocation consists in the fact that only automatic fields will be adjusted in case of later modifications (e.g. change of total dimension). If you want to determine a partial dimension either enter the dimension or an equation e.g. T/2 (T = total dimension). The result of this formula will be calculated automatically and entered into the corresponding field. Please note that this is a pure pocket calculator function. The equation itself won’t be saved after the value was calculated. 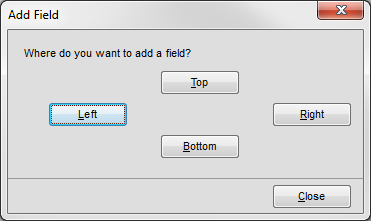 If you want to alter one field’s dimension simply click on the corresponding dimension and the program will jump automatically into the correct input field. 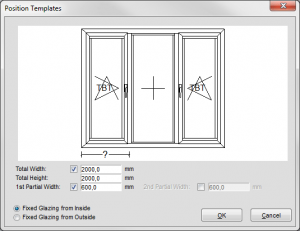 When using door and window systems the total dimensions refer to the distance from outer edge of frame to outer edge of frame, for a door they refer to finish floor level (FFL). The partial dimensions refer to outer edge of frame to centre line of mullion etc. 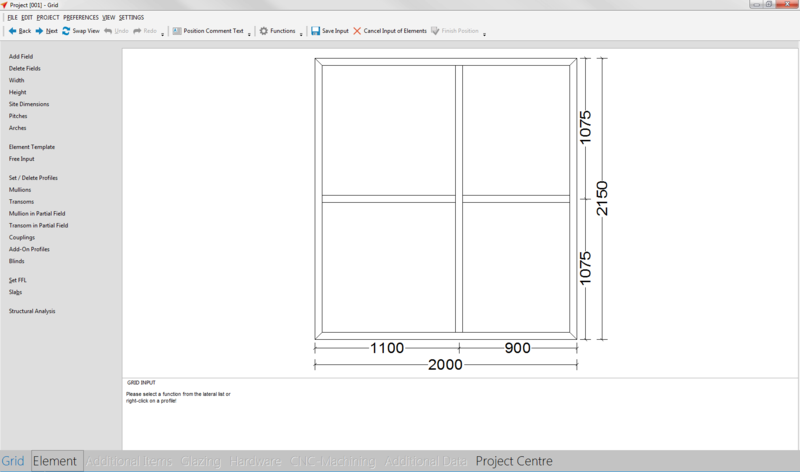 In curtain wall constructions it is also possible to select centre line to centre line as the dimension reference by a corresponding setting. After all dimensions have been entered you can add fields by using the “Add Fields” button. Click on this button to delete fields of a position. You can also modify the width and height of a position afterwards. Click on the “Width” or “Height” buttons or click directly on the specific field. The following marking functions are available: Individual selection by mouse-click, multi-selection by pressing Ctrl on the keyboard and mouse-click and by “area selection”. 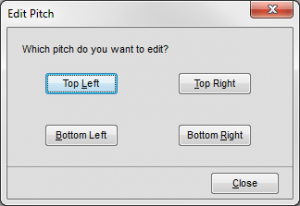 To mark an area, open a selection box over the profiles to be marked by using the left mouse button. 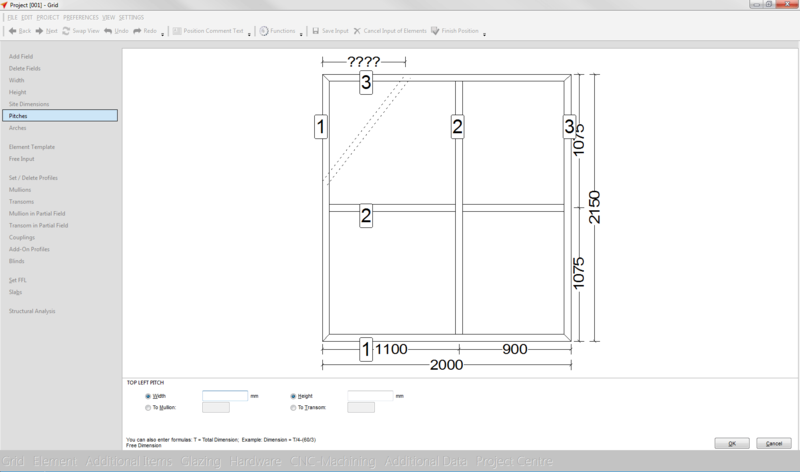 A selection box from left to right marks only profiles which are fully enclosed in the box and a selection box from right to left marks enclosed and intersected profiles. Element pitches are also performed in this screen. You can select between the “Top Left”, “Top Right”, “Bottom Left” and “Bottom Right” options. You can then enter the corresponding dimensions once you have selected the option you require. You can either enter a dimension or select the enumerated mullion or transom centre lines. You are also able to add archs to a position. Click on the “Arches” button. A new window appears. Here you can select between “Round Arch”, “Semi Arch”, “Gothic Arch” and “Circular Position” arch types. Click on the “Set / Delete Profiles” button and select the single profiles to set or delete. You can also select an area by mouse or press the CTRL Key to select or deselect multiple profiles at the same time. Alternatively you can select single profiles by pressing ALT + the Cursor Control Keys. After this use the “Set / Delete” button in the bottom right corner. 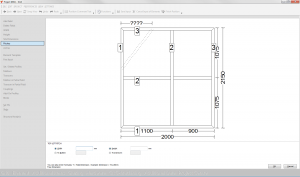 To add a mullion, click on the “Mullions” button and determine the position from the left side. Click on the “Transoms” button to add a transom. 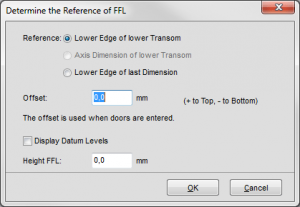 Enter the position of the transom from FFL. Use this function to add mullions or transoms to a partial field. 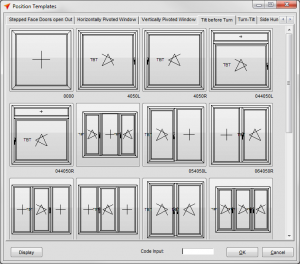 Select the field in which the mullions / transoms shall be insert and determine the number of profiles. Elements with 90° solid glass corners are part of your and our everyday life. But it’s not unusual that you are required to produce glass corners that are not rectangular. Naturally you also require the U-values for these solid glass corners. Quickly, safely, and reliably the variable solid glass corner will become a part of your everyday work. 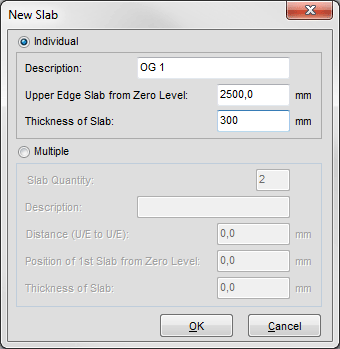 To apply the corner formation click “Solid Glass Corners” on the left hand side of “Grid” in the program window of the input of elements. 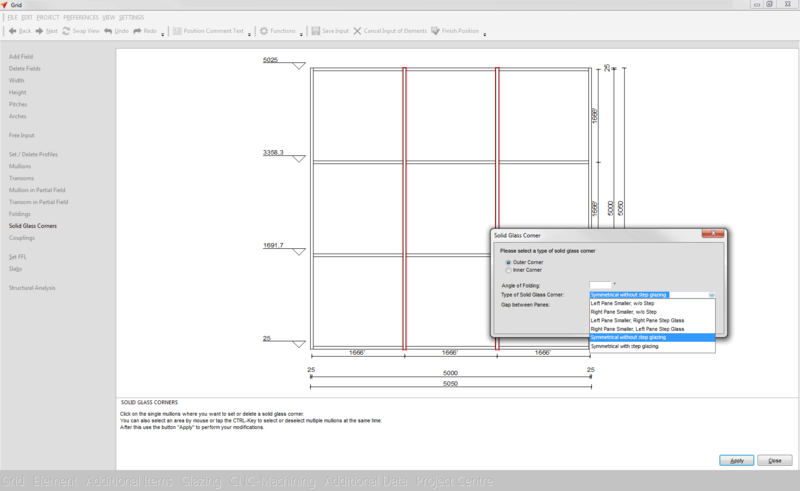 Select the corresponding mullion for the solid glass corner and click “Apply” in the toolbar right below. 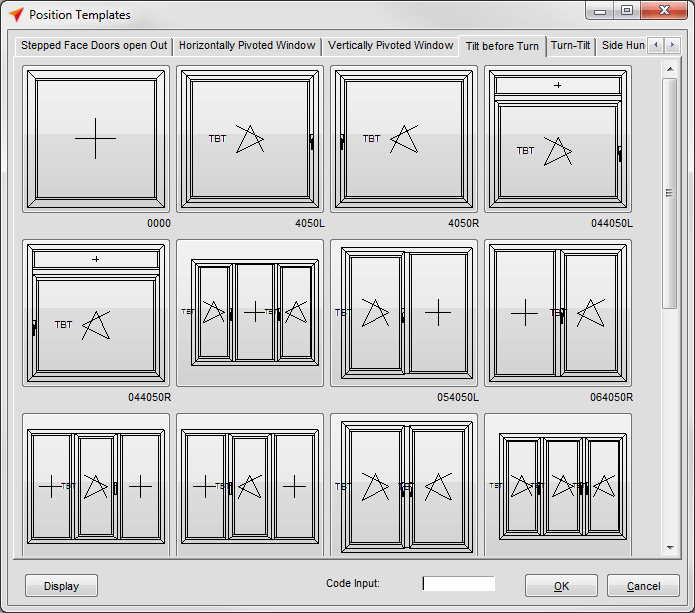 You can select the new corner formation in the following program window under “Type of Solid Glass Corner”. 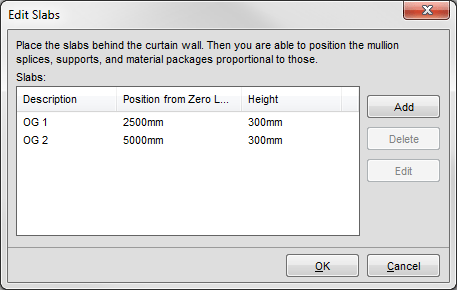 Psi-values for solid glass corners are now calculated also. 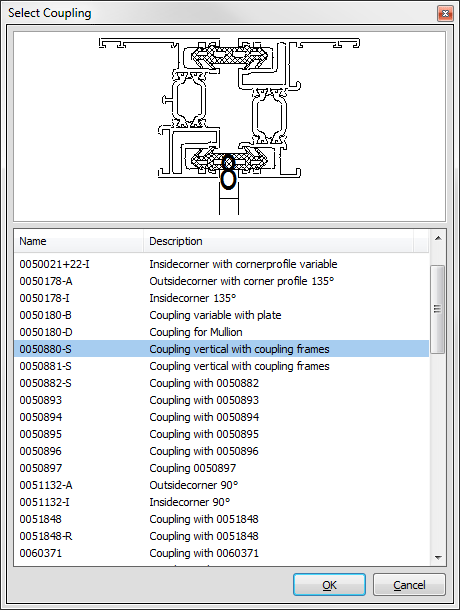 Select the “Couplings” button to set a coupling in the position. 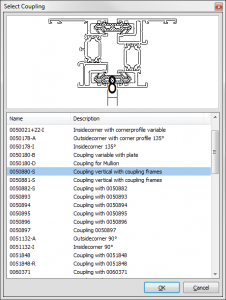 Click on the single profiles where you want to set or delete a coupling. You can also select an area by mouse click or by pressing the CTRL-Key to select or deselect multiple profiles at the same time. After this use the “Apply” button in the bottom right corner to perform your modifications. First select the “Add-On Profiles” button. Then click on the single profile sides where you want to set or delete an add-on profile. You can also press the CTRL-Key to select or deselect multiple profile sides at the same time. After this use the “Apply” button in the bottom right corner to perform your modifications. 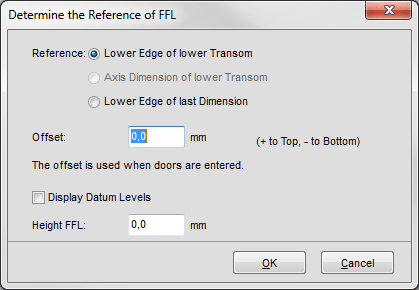 Determine the FFL reference by using the “Set FFL” button. Here you can enter the dimension, offset and height. 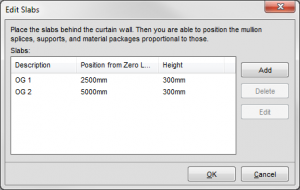 You can place slabs behind curtain walls. You can then position the mullion splices or supports proportional to the slabs. Click on the “Slab” button and enter the description, Upper Edge Slab from Zero Level and the thickness of the slab. 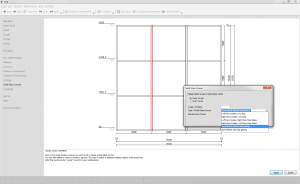 Select the Free Input option and you will be transferred to the CAD function. Here you are able to create unique single line drawing elements. LogiKal has different element templates which allows you to create positions very quickly. 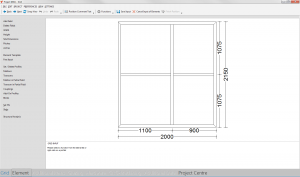 After you select a template position you need to determine the dimensions.